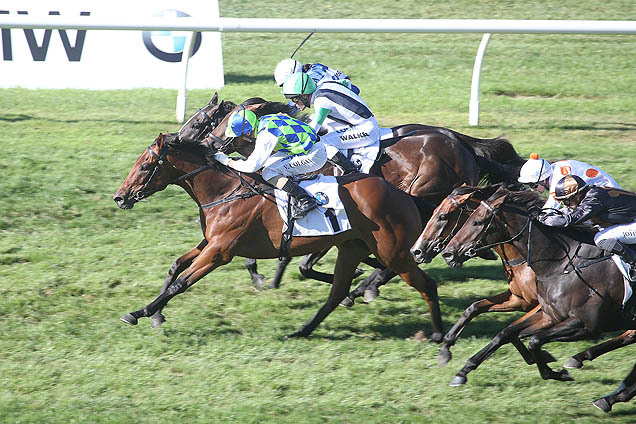 The three-year-old daughter of Showcasing has won two of her four starts including a last-start demolition of her rivals over 1 5⁄16 m at Pukekohe. “She’s flying,” Pike said. “She just gets better with each run. She was a bit green to start off with but she’s stepping up all the time and was pretty dominant over 1 5⁄16 m last start. Sherwood Forest will sport blinkers for the first time on raceday on Saturday but wore the headgear to good effect when winning Monday’s 5 f trial. Earlier on the card Pike’s last-start winner The Faith will step out in a strong three-year-old 7 f event.